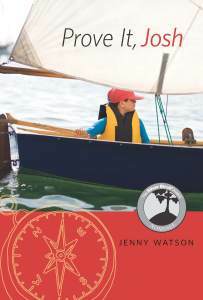 On October 15, the Forest of Reading nominees were announced and I was absolutely thrilled to find out that Prove It, Josh was nominated for the Silver Birch Express award. The Forest of Reading® is Canada’s largest recreational reading program. It’s an initiative of the Ontario Library Association (OLA) that offers eight reading programs to encourage a love of reading in people of all ages. The Forest® helps celebrate Canadian books, publishers, authors and illustrators. More than 250,000 readers participate annually from their school and/or public library. All Ontarians/Canadians are invited to participate via their local public library, school library, or individually. The Silver Birch Express award, which is the category Prove It, Josh was nominated in, is for books meant for readers aged 8 to 12, from Grades 3-6, but focusing on the lower grade levels and reluctant readers. Readers read the books and vote on their favorites. It’s super exciting to know that Prove It, Josh will be read by thousands of children, some of whom I’ll get to meet when I go to Toronto for the Festival of Trees in May 2015. I can’t say a big enough THANK YOU to the Ontario Library Association and the Forest committee for the nomination. To see all the nominated lists, click here. To find out more about the Forest of Reading, click here. And…. 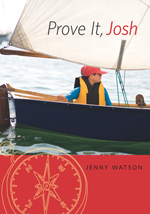 Prove It, Josh gets a new cover, with a Silver Birch Express nominee decal. How cool is that! I look forward to October every year – and it’s not for the weather, which is invariably cold and wet! From October 24-26 I’ll be attending the Surrey International Writers’ Conference. It’s the one conference I sign up for every year, as soon as registration opens. It’s a great opportunity to catch up with online friends, meet new people, and learn from all the fabulous presenters – people like Diana Gabaldon, Anne Perry, Hallie Ephron, Donald Mass, Jack Whyte, and Cory Doctorow. The line up of presenters seems to get better and better every year. If you’re in Surrey, come and say Hi. I’ll be at the SCBWI Canada West table off and on, happy to sign books, and thrilled to see you! And then two weeks later, from November 6-8, it’s the Victoria Writers Festival. I’m excited to see that this year they’re including an event for children’s writers on November 6 with Kit Pearson, Polly Horvath, John Wilson, and Morgan Purvis. If you come to that, look out for me – I’ll be there, as well as volunteering on Friday evening. I’m at the end of my second week of an online photography class called Everyday Magic, taught by Tammy Strobel of Rowdy Kittens. I thought it would be fun to learn something about composition and lighting, and figure out how to get better photos from my phone, since that’s the camera I always have with me. And maybe the things I learn from taking pictures with my phone will translate to the “big camera” which I only tend to pull out when we’re on holiday. Also, I like the idea of learning to see the magic in everyday life. Anyway, I thought I’d share a handful of my favorites from the first week. If you’d like to see more, I’m posting on my Tumblr page every day, and the odd one on Instagram too. Thanks LISA MCMANUS for inviting me to be part of this writing process blog tour! The idea of this blog tour is to let you know a little bit of the why and how of my writing process, and to introduce you to some new writers you might not be familiar with yet. Lisa and I know each other through the Vancouver Island chapter of Romance Writers of America (RWA) and the Victoria Children’s Literature Roundtable. 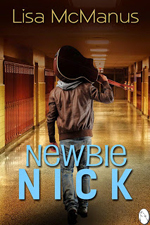 Lisa’s first young adult novel, Newbie Nick, is due to be released by Lycaon Press on June 18th—the ebook is actually available for pre-sale right now. You can read Lisa’s answers to the blog tour questions here. Currently I’m working on three different writing projects. One is another middle grade story featuring Josh and Dakota, in which they get up to all sorts of mischief as they try to clear Josh’s name when he is blamed for lighting a fire at the local mill. The second story is for a younger audience – I’m just in the early stages of that one, so there’s nothing much to tell just yet. And the third is a young adult novel – also in the very early stages. I’ve also signed up for an online photography class to spark my creativity (I hope!). I think every writer has a unique way of seeing the world based on their childhood, place of birth, place of residence, family, work, hobbies, and experiences. It’s my unique view and the things I see that make my writing and my stories different. 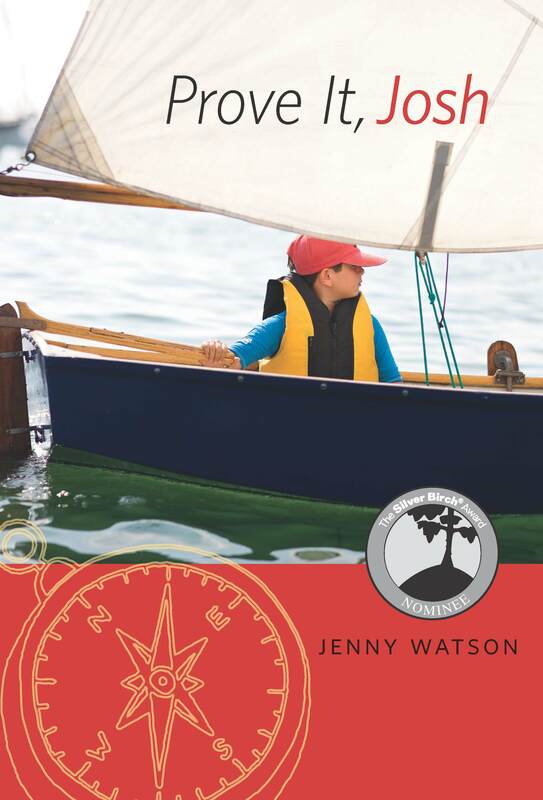 The first book I remember reading as a kid that really fired up my imagination was Arthur Ransome’s Swallows and Amazons. The children in his books had so much freedom to play and explore away from adult supervision, with endless possibilities for adventure—I wanted that too, and still do! It’s that sense of wonder that I hope to inspire in the children who read my writing, and that glimpse of a different life that I hope will help them see the potential in their own lives. My process evolved out of years of working as a technical writer, which required a combination of a deadline, a word goal or page limit, an outline, and knowing my audience. Lots of experienced writers advise new writers to just get the story down and worry about word limits at a later stage, but that much freedom and flexibility didn’t help me as a new writer. I needed parameters to work within. Based on publisher submission guidelines and published contemporary middle grade books, I set myself a word count and figure out how many words should be in a chapter. Then I set up my Word document (or, more recently, my Scrivener project) so that the page looks as close to a published page as possible. I know for some writers this would totally kill their creativity, but for me, it helps to see what the finished “product” will look like. And knowing how long a chapter should be, gives me an idea of how quickly the action should move the story forward. If I get to the end of a chapter and nothing much has happened, it’s pretty obvious I need to cut some of this non-action and pick up the pace. In terms of the actual writing, I try to write every day, even if it’s just for 10 minutes. That way I’ve always got the story in mind, and even if some days I don’t come up with anything brilliant, I just have to be patient—eventually the ideas will come. I also like to have an outline so that I have a sense of the direction for the story. If I know where the story ends, I can work towards that point. Of course, that’s all in a perfect world. Sometimes writing is not so simple and I end up with hundreds of pieces, and have to put them together like a puzzle. Those days make me a bit crazy! That’s pretty much it for me. I’ve tagged two authors—Maggie Bolitho and Kay Stewart—to follow me on the blog tour next week, so be sure to look for their posts next Monday – June 16. I met Maggie at the Society for Children’s Book Writers and Illustrators (SCBWI) Canada West conference last year, and I met Kay when I volunteered for the Bloody Words conference in 2011. MAGGIE BOLITHO is curious by nature. She has been a soccer player, a horsewoman, a martial artist, a scuba diver, and a cyclist. Her many jobs have included waitress, florist, insurance underwriter, realtor, tax auditor, and accountant. Born in Victoria BC, Maggie has always been a devoted West Coaster. Except for the seven years she divided between Toronto and Edmonton and her twenty years in Australia. In Sydney she trained as a member of the CFU (Community Firefighting Unit). During this training, an interest in disaster scenarios was born. An ardent reader from an early age, Maggie didn’t start writing fiction (short stories) until 2002. One of her poems and some of her award-winning short stories have been published in Australia, the US, and Canada. From 2012 to 2014 she led the Young Writers’ Club of North Vancouver. In 2006, she switched to writing novels. 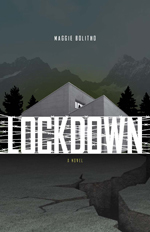 In 2014 her debut novel, Lockdown, was released by Great Plains Publications. You can find out more about Maggie at www.maggiebolitho.com. 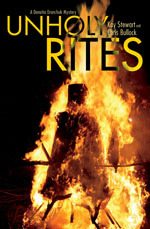 KAY STEWART writes a police procedural series featuring RCMP Constable (now Corporal) Danutia Dranchuk, often in collaboration with her husband Chris Bullock: A Deadly Little List, Sitting Lady Sutra, and Unholy Rites. All are available as audio books, and the last two in ebook as well as print format. Kay has also published short stories, personal essays, and writing textbooks. You can find out more about Kay at www.kaystewart.ca. If you’re curious to read about the writing process of other writers all over Canada, try a Google search for “writing process blog tour” or “writing process blog hop”. 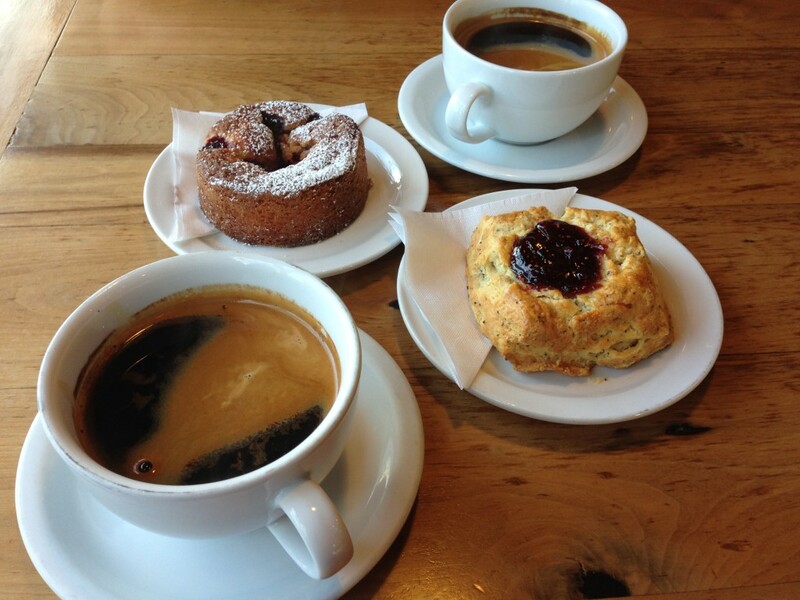 You’ll find all sorts of fun posts, and maybe discover some new writers to follow or books to read. If you’ve got questions or thoughts about my writing process, feel free to leave a comment on this post!